Novation Circuit MIDI EDITOR / REMOTE/ CONTROLLER by Momo is a Virtual Instrument and a Virtual Effect Audio Plugin. It functions as a VST Plugin and an Audio Units Plugin. 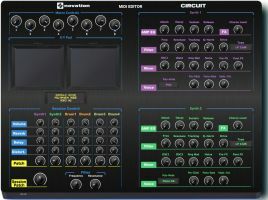 The "Circuit MIDI Editor" is a VST / Standalone - Editor / Remote for the Novation Groovebox "Circuit". You can control and mixing the Sessions, change and create new sounds "on the fly". You can select the sound off the "Synth 1 + Synth 2 and Drum 1-4". 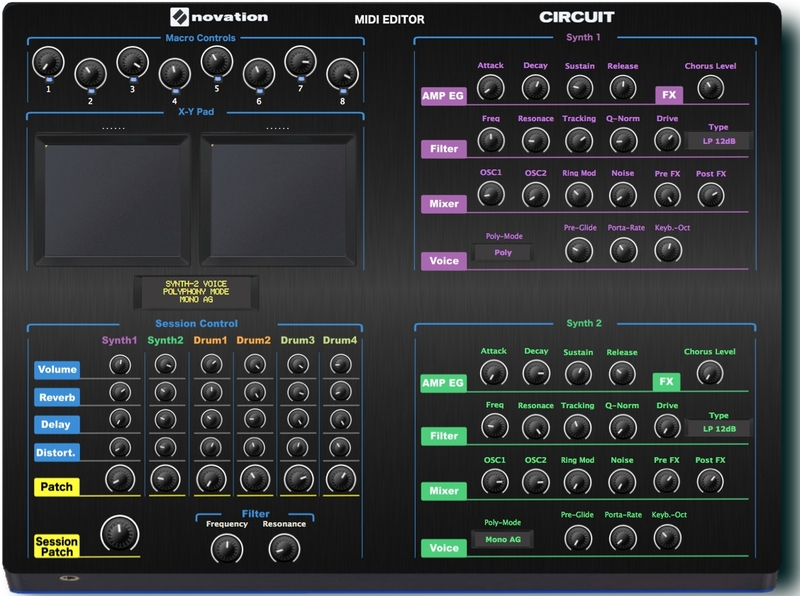 The parameter can be changed on the "Circuit MIDI Editor", and stored on Circuit Hardware.